One of the first things you realize about Borneo is how difficult it can be to land a plane. On my first trip there, our plane circled the provincial capital of Palangkaraya for a half hour before a window in the smoke opened long enough to land.Nature has taken it’s toll. Borneo is burning — and the consequences in nature are widespread. 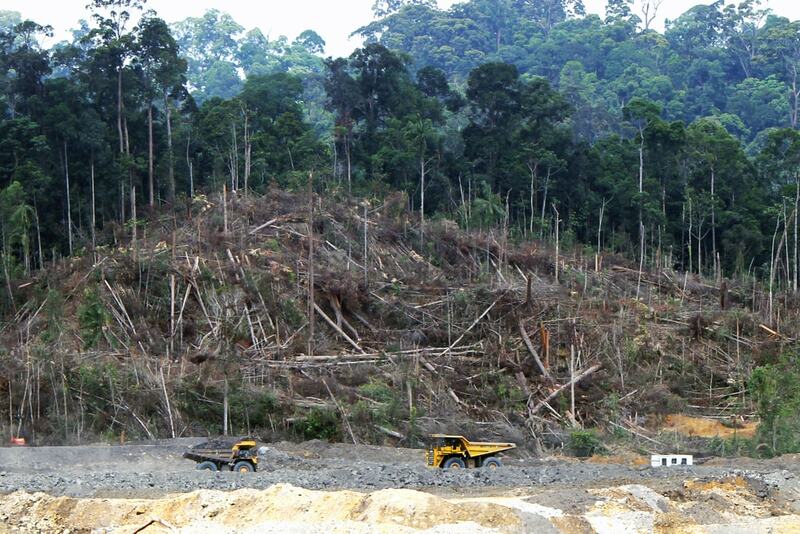 Every year more than 2 million acres [almost 810,000 hectares] of Indonesian rainforest are destroyed. Between 2000 and 2010, nearly a quarter of Borneo’s diverse peat forests and their rich soils were drained, burned and cleared. Before this trip, I’d known of the plight of orangutans, thousands of which have died as their forest habitat disappears. I also knew about the outsized role that clearing of these forests plays in driving climate change. I was less prepared for the impact that damage to these ecosystems has on human health. For me, the burning forests were a nuisance to my visit. For the locals, they were a matter of life and death. Though it’s hard to track the number of deaths from these fires and their long-term impacts, airborne particulates from previous fires here were associated with a 5- to 25-fold increase in cases of pneumonia alone, a disease consistently one of the biggest causes of death of both the elderly and young children in the region. Burning forests are not the only health threats to the island’s people. Borneo’s rivers are plied by barges scouring river sediments for gold. The process they use releases tons of mercury into the rivers where families catch fish and practice aquaculture. Mercury contamination damages riparian ecosystems and results in smaller, more toxic catches for thousands who depend on rivers for their food security and livelihoods. Parts of the Kahayan River harbor more than twice the legally allowable level of mercury. I left Borneo with a heavy feeling in my gut. In other places there’s warfare, or HIV, or other headline-grabbing atrocities that capture our attention. Yet the sad truth is that a shocking amount of human suffering comes from far less sensational things, such as the silent scourge of environmental degradation and ecosystem loss, which destroy opportunities for healthy and productive lives. In Borneo, it is the slow burn of peat forests and steady contamination of mercury that quietly, but gravely, threaten the communities living there. The idea that the natural environment is important to human health isn’t new. It was foremost in Hippocrates’ mind (yes, that Hippocrates) more than 2,000 years ago. But compared to our reactions to other important factors for human health — consider the many public health practices we’ve implemented over the centuries as we’ve learned how disease spread — societies have done very little in the way of sensibly managing ecosystems to protect our health. One reason we may have neglected our natural lifelines for so long is that we didn’t know just how closely human health is connected to our environment. But that’s rapidly changing thanks to recent scientific advances. 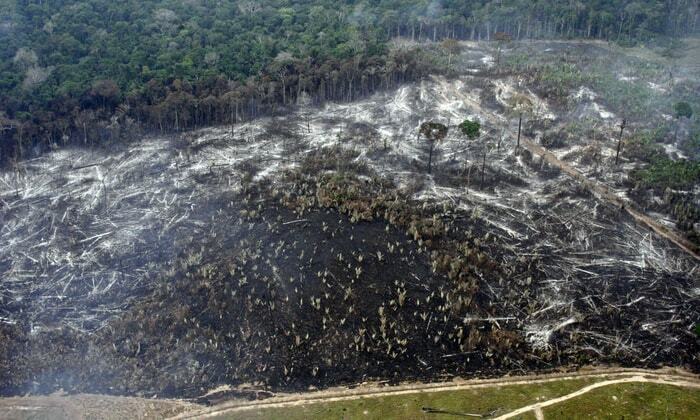 When we burn trees, we destroy Earth’s air filters, water towers and medicine cabinets. Your donation helps protect and restore vital forests. Nutrition. Nutritional deficiencies account for many of the leading causes of death and disability globally, especially for children. With insects, birds and bats pollinating about 1 in 3 food crops worldwide, nature role in pollination alone is essential for a big portion of nutrients and calories in the human diet. Meanwhile, fisheries and wild animal populations are key sources of nutrients for billions of people. Without wild game, children in Madagascar would experience a minimum 30% higher risk of anemia — increasing their risk for sickness and death in many ways. The global decline of wildlife poses a nutritional crisis for many, with the worst impacts felt by those unable to replace wild food sources with domesticated species or fortified foods. Disasters. Healthy mangroves and other coastal barriers defend communities against coastal storms. Researchers estimated one cyclone in Orissa, India would have killed 3 times as many residents had mangroves not buffered their villages. Global loss of mangroves, reefs, wetlands and dunes places in harm’s way millions who live near the world’s coasts. Evidence is mounting that the ecosystems in our nature we’re destroying are important for a range of vital human health needs. But countries, communities and families don’t have equal ability to deal with these impacts. In a wealthy country, low fish catch might result in an altered menu or a shopping inconvenience. In another country it could be a matter of life and death. Indeed it is often the world’s poor — those with few alternative food sources, with less public infrastructure, with limited health care and insurance — who feel the most immediate brunt of environmental losses. But is money a panacea? In 2013, Singapore, a nation with one of the world’s most productive economies and most admired healthcare systems, found itself choked by smoke from burning forests in neighboring Indonesia. The nation’s otherwise moderate air quality reached “hazardous” levels for the first time ever, and residents flocked to hospitals with cardiopulmonary illnesses. In the United States, the potentially debilitating Lyme disease afflicts thousands annually, while West Nile virus killed nearly 300 Americans in 2012. For both diseases, researchers have found higher risk of infection in places where diversity of native animal species has been reduced. Mounting evidence supports the theory that a higher number of species can “dilute” the harmful impact of those few species most effective at transmitting disease. I write these words from a hospital in Austin, Texas. My father experienced a life-threatening infection earlier in the week, by a form of bacteria resistant to nearly all forms of treatment. Thankfully his condition is now improving. As I watch him getting back to cracking jokes and talking about his grandchildren, I notice the antibiotic in Dad’s IV: vancomycin. I remember that it is one of the world’s precious few “antibiotics of last resort.” And I think of its humble origins: a handful of rich soil from the remote forests of Borneo. Earth’s biodiversity is, in fact, a remarkable storehouse of compounds and innovations that has provided more than half of all commercial medicines, and may harbor undiscovered cures for cancer, malaria or the next emerging infectious disease. As we destroy the nature, Earth’s forests, reefs, wetlands and other ecosystems, we light a fire to our storm barriers, our air filters, our water towers and our medicine cabinets, all at the same time. But we can turn this around: Stewarding nature would unleash a powerful, vital force in sustaining human life. The notion that nature is dying and suffering can be prevented has been a driving force in medicine and has completely transformed human existence. We’re rapidly learning about the health consequences of ecosystem loss, and the countless life-saving benefits that natural ecosystems give us. How much longer should we wait to use that knowledge to save and improve human lives? Will Turner is chief scientist at CI. Follow him on Twitter at @WillRTurner.